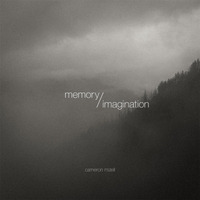 Cameron Mizell's new album, Memory/Imagination, is an exciting collection of tracks that will spark the imagination and win over the heart. The composer/guitarist is certainly consistent in crafting records that are avant-garde and improvisational while stimulating emotionally. It's a creative balance that isn't easily achievable; many other artists veer too much towards one side. However, Mizell focuses on music as poetry in motion, and no words are needed for him to paint his pictures of the mind. The title track kicks off this stunning collection of songs, and it truly evokes a sense of wonder and awe. This piece is deeply textural and multi-layered with ambient sounds, a whimsical vibe, and a cinematic feel. Minimalism is a key component of Mizell's aesthetics as a musician, but there is a lot more to it than that. 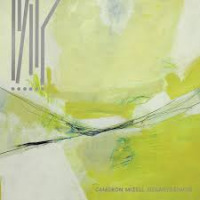 This release is a great example of research and experimentation with sound. 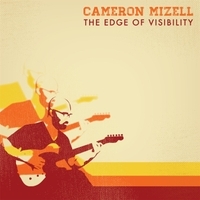 "The Wind Will Never Blow Us Out" has a distinctive tone, reminiscent of the greats of jazz electric guitar, yet denotes the artist's unique personality. To finish off the album, "Decisions" is definitively a more introspective track, which is reminiscent of eminent artists such as Marc Ribot and Bill Frisell, to name two. Today, the music industry is oversaturated with artists who are solely focused on creating music that fits in with modern trends and is immediately accessible and likeable. It is great to come across an artist such as Mizell, who is obviously very connected with his artistic works on a personal level, commercial considerations be damned.